Provide comfort for the family of Terrence G. "Terry" Deike with a meaningful gesture of sympathy. Terrence George “Terry” Deike passed away peacefully surrounded by his family on April 6, 2019 at Rose Arbor in Kalamazoo. Terry was born on October 4, 1943 in Kalamazoo, the son of Gordon and Lillian (Trudeau) Deike. Terry was dedicated employee of Fabri Corp for forty two years. He graduated with a BBA from Nazareth College in Kalamazoo in 1988. Terry was a member of St. Ambrose Catholic Church, Delton for many years. Terry served on the Greater Wall Lake Association Board for ten years. He was instrumental in planting Walleye in Wall Lake and starting the annual family event, “I Kayaked the Wall.” Terry enjoyed spending time with his grandchildren, teaching them how to fish and enjoy Wall Lake. He also enjoyed fishing, boating, kayaking, golfing and especially Texas Holdem. On July 31, 1965, Terry married the love of his life, Helen (Stratton) Deike, who survives. Terry is also survived by sons: William Deike and Matthew Deike; daughter, Christina Podolsky; grandchildren: Michael, Dustin, Charlotte, and Josephine; and several nieces. Terry was preceded in death by his parents and a brother, James Deike. Terry’s memorial service will be conducted on Saturday, April 13, 2019, 1:00 to 4:00 PM at the Delton Moose Lodge, 5420 Mooselodge Drive, Delton, MI 49046. Memorial Contributions to the Delton Moose Lodge or the Greater Wall Lake Preservation Fund, 231 Broadway, Hastings, MI 49058, will be appreciated. Please visit www.williamsgoresfuneral.com to share a memory or to leave a condolence message for Terry’s family. 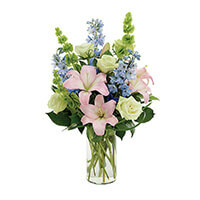 To send flowers in memory of Terrence G. "Terry" Deike, please visit our Heartfelt Sympathies Store. We encourage you to share your most beloved memories of Terrence G. "Terry" here, so that the family and other loved ones can always see it. You can upload cherished photographs, or share your favorite stories, and can even comment on those shared by others. Annette, Alan & Jim Freid sent flowers to the family of Terrence G. "Terry" Deike. 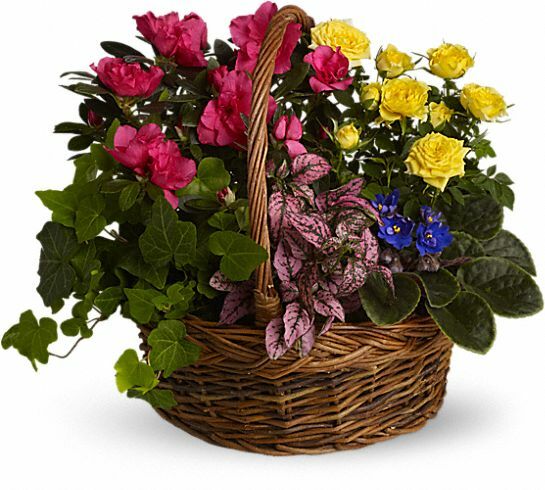 Heartfelt Sympathies Store purchased the Blooming Garden Basket for the family of Terrence G. "Terry" Deike. Terry was a dedicated and productive member of the Board of the Greater Wall Lake Association. Walleye stocking and Kayak The Wall are two lake activities that he was responsible for, and particularly proud of. Terry was a gentleman and a delight to work with. Terry loved Wall Lake and he will be missed by many. Terry is a wonderful neighbor! My first memory of Terry and Helen goes back to when we first moved to the lake to live in the house that Al's father built. We joined them at their bonfire one night, roasting marshmallows. A few days later they came by with three of the bonfire forks as a gift. Apparently, the forks had been left in their house by the previous owners, and they wanted to share their excess. It was a small gesture but established their love and warmth for their neighbors and community. Terry cared about the lake and shared Al's dedication to preserving the natural resource we all share and desire to build the community. We will miss Terry greatly. Annette, Alan & Jim Freid purchased the A DAY AT THE BEACH for the family of Terrence G. "Terry" Deike. Terry was a thoughtful and dedicated person. His contributions as a board member on the Greater Wall Lake Association over the years was a tribute to his love of the lake and it’s environment. I am honored to have known Terry and will certainly miss him. Our thoughts to his wife and family. His life was cut short far too soon.